Friend zone: A reward circuit that involves the chemical messenger serotonin may underlie sociability in mice. Boosting levels of the chemical messenger serotonin makes mice that model autism more social, according to a study published today in Nature1. The study suggests the approach may do the same in people with autism. It also offers an explanation for why antidepressants do not ease autism traits: They may increase serotonin levels too slowly to be effective. The researchers used a technique that rapidly increases serotonin levels in the nucleus accumbens, a brain region that mediates social reward. Decades of research have suggested a connection between serotonin and autism. About 10 years ago, this led researchers to test antidepressants, which increase serotonin levels by blocking its reabsorption into neurons, as a treatment for autism. However, in several trials, antidepressants such as fluoxetine (Prozac) proved ineffective at easing the condition’s features. The new study suggests that a drug that rapidly activates serotonin receptors would be a more effective way of treating the condition. “We are only recently starting to understand the mechanisms by which the serotonin system may impact social function and repetitive behavior,” says Jeremy Veenstra-VanderWeele, professor of psychiatry at Columbia University, who was not involved in the work. In a 2013 study, Malenka’s team found that another chemical messenger, oxytocin, may make mice more sociable by stimulating serotonin’s release in the nucleus accumbens. In the new study, they genetically engineered certain serotonin-producing neurons with proteins that are sensitive to light. Shining light on these neurons activates them, causing them to release serotonin in their target region, the nucleus accumbens. 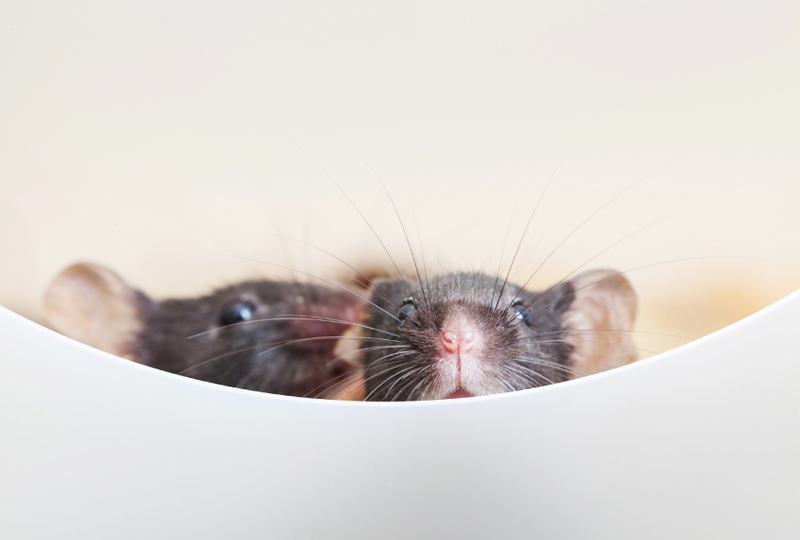 The mice intermittently sniff, groom and otherwise interact with one another until the scientists turn on a laser that shines light through a cable in one mouse’s brain. Interactions among the mice then sharply increase. The mouse engineered to react to light also shows an increased preference for another mouse over an object. This effect is specific to social behavior, however: The mouse shows no change in its activity level or in its anxiety. And turning off the laser returns the mouse to its previous level of sociability. Malenka’s team also manipulated another set of mice so that light suppresses activity in the same serotonin neurons. Social interest in these mice declines when the light is turned on. “The most exciting finding from the study is that the authors pinpointed the specific brain region and the specific cell types that have a causal relationship to animal social behaviors relevant to autism,” says Guo-Li Ming, professor of neuroscience at the University of Pennsylvania. The deletion diminishes the neurons’ activity. Mice with the deletion in the neurons spend less time interacting with other mice and don’t show a preference for another mouse over an object. Activating the neurons with light immediately makes the mice more social, counteracting the deletion’s effects. Infusing the nucleus accumbens of the mice with a drug that blocks serotonin receptors negates the effect of the light, suggesting that serotonin mediates the increase in sociability. The results are “exciting,” but “we have to be careful not to overinterpret [them],” says Veenstra-VanderWeele. In particular, he says, the mice in the study lack both copies of 16p11.2 in these neurons, whereas autistic people with this deletion are missing only one copy. What’s more, other teams have not found problems with social skills in mice lacking one copy of the region in all of their cells. It will also be important to show that the manipulation works in other mouse models of autism before concluding that the results apply broadly to the condition, says Ming. Malenka and his team are looking at whether drugs that activate serotonin receptors directly can enhance sociability in mouse models of autism. They are also exploring the effects of MDMA, the drug popularly known as ecstasy, which may promote serotonin release from neurons.